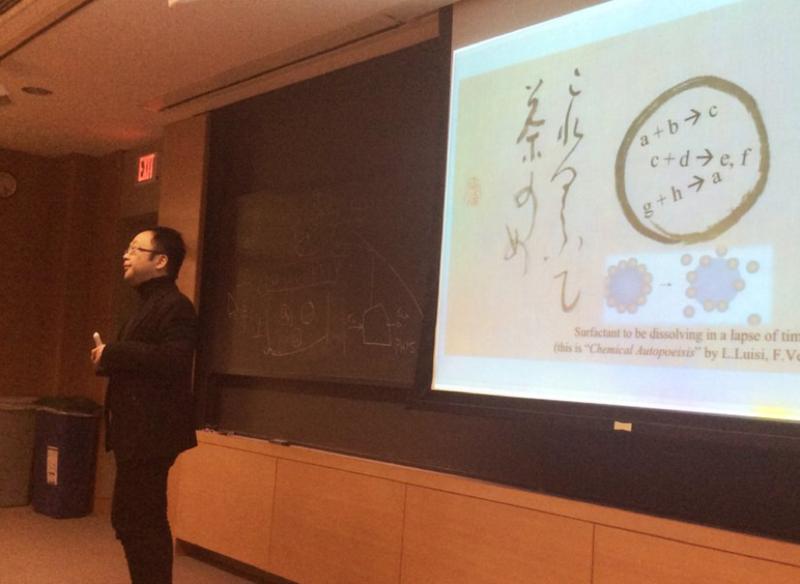 Researchers with backgrounds in chemistry, biology, cultural anthropology, geology, chemical engineering, and design aesthetics gathered at Harvard University during a two-day workshop titled “Proto-computation and Proto-life”. Attendees explored technical and philosophical approaches to assessing the conditions under which matter may ‘compute’ something about its environment, and whether such conditions offer a clue as to the origins of life in our universe. Sophia Roosth, author of the newly released book Synthetic: How Life got Made opened the workshop with a beguilingly simple question: Is life a pattern or a substance? She presented historical cases wherein life was variously considered as form, information, substance, and complexity. Roosth’s historical depiction of life’s origins as a philosophical system of study throughout the ages brought the group to the current, post-genomic era where elucidating the limits of extant life is considered as a practical tool for unraveling life’s origins. Next, Zach Adam, Masashi Aono, and Ruiqin Yi introduced the latest findings that uncover promising environmental conditions for life’s origins. In contrast to the reconstructive approach taken by origins of life researchers, participants Deblina Sarkar, an electrical engineer from the Synthetic Neurobiology Group at MIT Media Lab, and Lining Yao, a designer and material scientist of the MIT Tangible Media Group, presented their views on the underlying mathematics and design strategies for engineering existing materials that respond to prevailing environmental conditions. This included reconfiguring brain cells to make records of synaptic responses, creating clothing that responds to body temperature, and designing food that unfolds upon heating so that it can be packaged in highly efficient ways. Participants from the Japanese Natural Intelligence group provided broad-ranging surveys of the nascent field of physical computation, whereby physical phenomena can be configured to instantiate complex, algorithmic behaviors. Song-Ju Kim, and Makato Naruse demonstrated how photonics and solid objects can be used in decision-making processes. Information scientist Yasuhiro Suzuki discussed how he uses patterns observed in natural systems as templates for computational algorithms that simulate translation machinery and metabolic pathways. At the conclusion of the workshop, Betül Kacar, an astrobiologist and evolutionary biologist at Harvard University, described her views of biological structures as inherently computational objects. 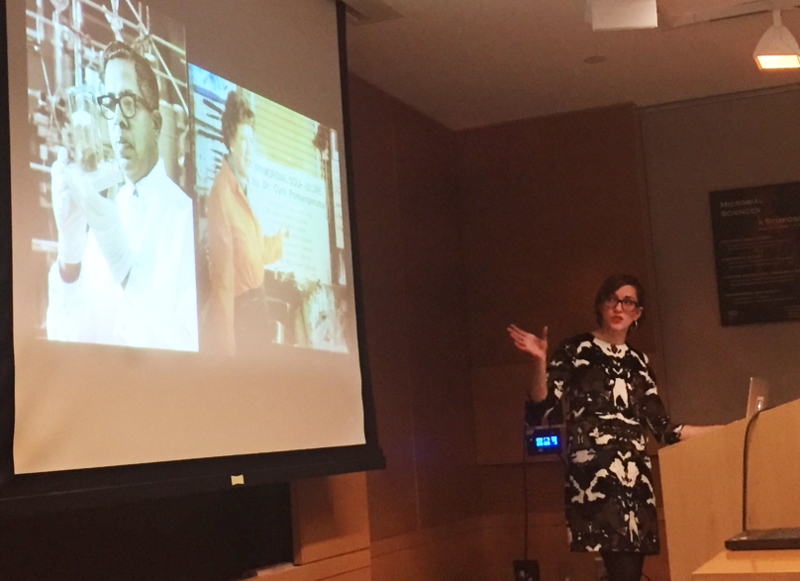 In her talk, “A Night at the Automata Museum”, she surveyed what living processing structures look like, and how we can mathematically observe attributes of extant organisms and work our way backwards to life’s origins. Organizers of the workshop are now soliciting abstracts for a dedicated issue of the journal Complexity under the general theme of ‘proto-computation’. Interested parties can email Professor Masashi Aono at Earth-Life Science Institute (ELSI). In addition, workshop participants Adam, Kacar, and Roosth will be publishing a book titled Machina ex Machina: Retracing Life’s Origins as Exquisite Geochemical Automata based on the ideas they presented at this workshop. 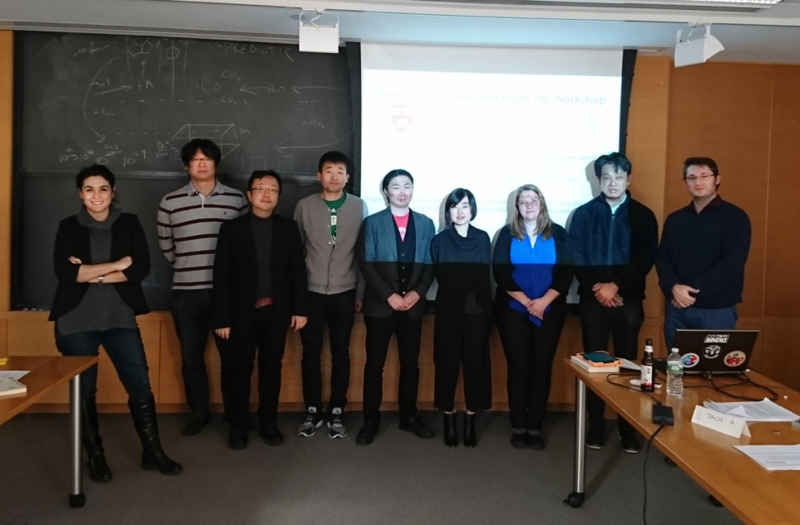 The workshop was supported by the Harvard Origins of Life Initiative, the Japanese Natural Intelligence Group, ELSI Tokyo Tech, and a John Templeton Foundation Life Sciences Grant, and was organized by Zach Adam, Masashi Aono, and Betül Kacar.